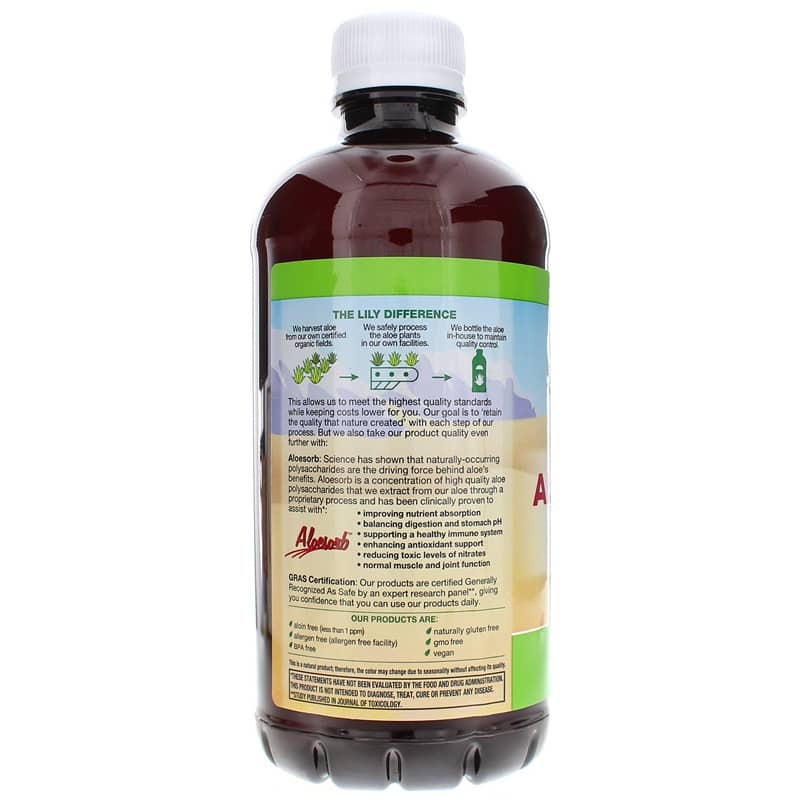 Lily of the Desert Aloe Vera Gel is a 99% Organic aloe vera supplement that is enhanced with polysaccharide-rich Aloesorb. Certified Kosher. GMO-free. Vegan. Naturally gluten-free. Aloe vera gel contains the same 200 biologically-active components as juices, but have a thicker consistency than the juice. Some consumers find this thicker consistency to have a "soothing" effect. 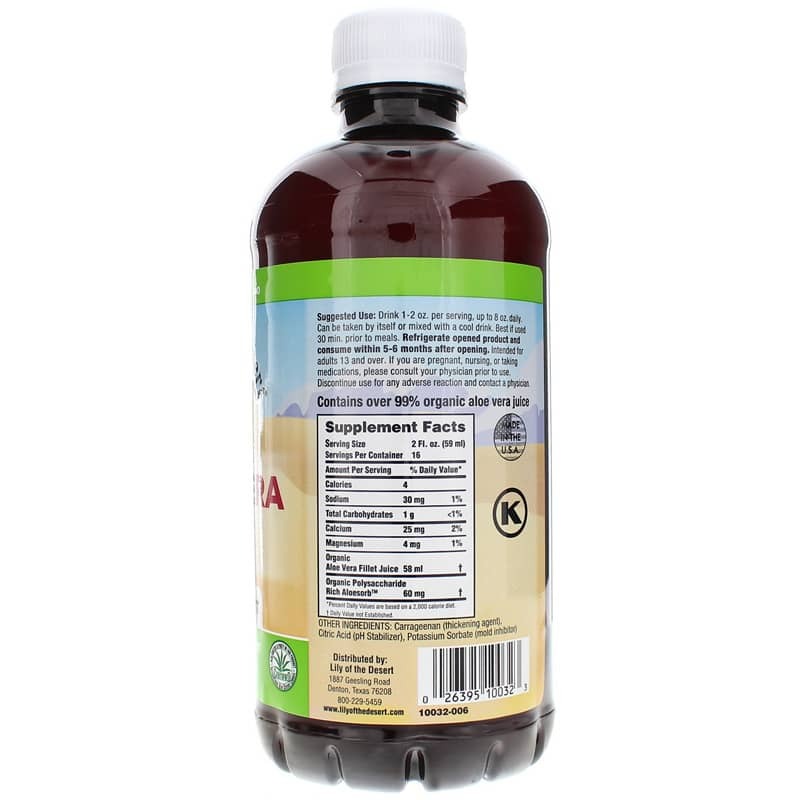 The juices and gels have the same beneficial polysaccharides, essential amino acids, vitamins, minerals and enzymes. In 2007, Lily of the Desert added a patent-pending concentration of high-molecular weight aloe polysaccharides, derived from the inner filet of our aloe vera plants, to their products. Aloesorb optimizes the benefits of aloe vera by maximizing nutrient absorption that is vital to digestive health, immune response, detoxification and antioxidant support. Lily of the Desert sets itself apart from others in the natural products industry as the only aloe company with "Gold Standard" clinical studies on our products. Because of this strict clinical validation, you can feel confident that you are receiving the best and most efficacious organic aloe products available. Other Ingredients: carrageenan (thickening agent), citric acid (pH stabilizer), potassium sorbate (mold inhibitor). Adults: Upon opening, refrigerate immediately. Take 2 ounces (4 Tbsp) per serving, alone or mixed with a favorite juice. Up to 8 ounces daily. 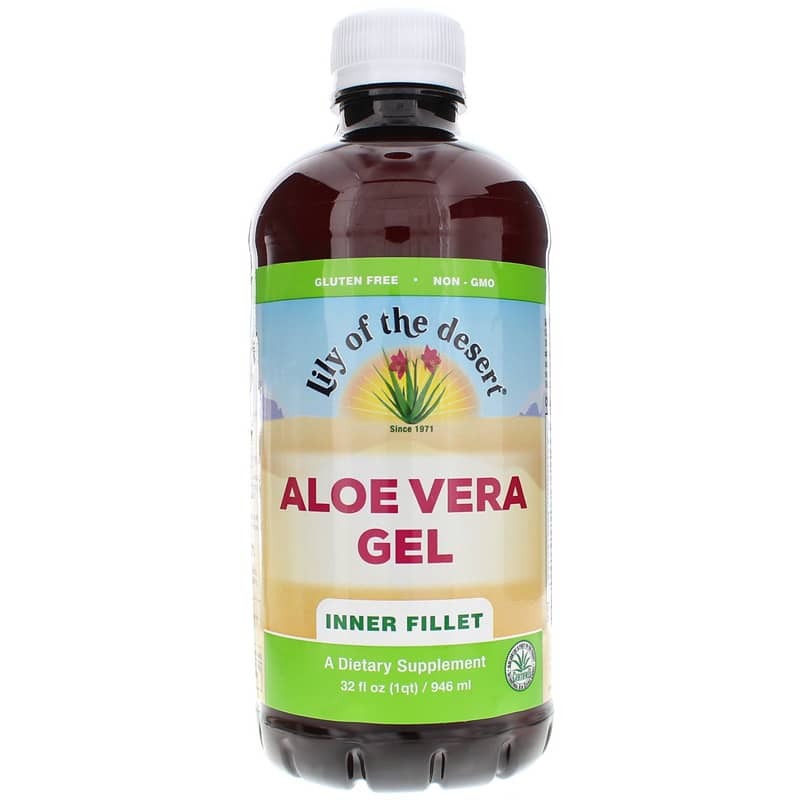 For those with more severe digestive issues, we would recommend you take the aloe 15-30 minutes before each meal. Recommended to consume within 5-6 months after opening. Great prices super fast shipping.Awesome product. I am very happy with the overall transaction. It is a product I am use to but cheaper than I was paying before. We are very pleased with it. Thank you for making such a wonderful product available.